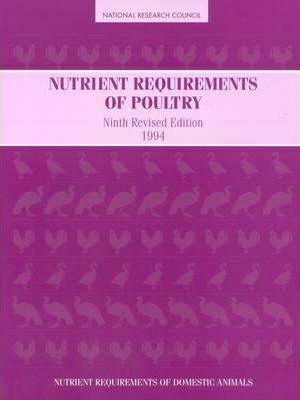 This classic reference for poultry nutrition has been updated for the first time since 1984. The chapter on general considerations concerning individual nutrients and water has been greatly expanded and includes, for the first time, equations for predicting the energy value of individual feed ingredients from their proximate composition. This volume includes the latest information on the nutrient requirements of meat- and egg-type chickens, incorporating data on brown-egg strains, turkeys, geese, ducks, pheasants, Japanese quail, and Bobwhite quail. This publication also contains new appendix tables that document in detail the scientific information used to derive the nutrient requirements appearing in the summary tables for each species of bird.